When you hear ovarian cyst during your annual gynecological exam, your heart may skip a beat. But ovarian cysts are common and, in most cases, harmless. Tina Mehta, DO, FACOG, and Melissa Kushlak, DO, FACOG, at Elite OB/GYN, are women’s health experts and offer on-site ultrasounds to quickly evaluate your cyst and ease your mind. Call the Fort Lauderdale, Florida, practice today or schedule an appointment using the online booking button. An ovarian cyst is a fluid-filled sac that develops on your ovary. They’re very common and, in many cases, you may not even know it’s there. However, they can cause some discomfort and lead to serious complications if they rupture. Every month, your ovaries produce follicles, which are cyst-like structures that hold and release your egg. Sometimes these follicles continue to grow and create functional cysts that are either follicular or corpus luteum cysts. A follicular cyst develops when your follicle doesn’t release your egg and instead continues to grow. A corpus luteum cyst develops after your follicle has released the egg and the remaining follicle, referred to as the corpus luteum, fills with fluid and grows. Follicular and corpus luteum cysts usually don’t cause discomfort and resolve on their own over a few menstrual cycles. A dermoid cyst from embryonic tissue is filled with tissue, and may contain teeth and hair. A cystadenoma usually forms on the surface of your ovary and may be filled with a more mucousy liquid. An endometrioma may develop if you have endometriosis, which is when the lining of your uterus grows in other areas; if it grows on your ovaries it forms a cyst. Both dermoid and cystadenomas can grow large in size. You may not know you have an ovarian cyst unless it’s discovered during your routine pelvic exam. However, to confirm a diagnosis, your specialist at Elite OB/GYN may conduct a pelvic ultrasound, which is a noninvasive test that uses soundwave technology to create a picture of your internal organs. During the ultrasound, your specialist can determine the location of your cyst, size, and whether it’s filled with liquid or solid material. Treatment of your cyst depends on the type and your symptoms. If you have a functional cyst, your specialist at Elite OB/GYN may take a wait-and-see approach, as it’s likely to resolve on its own, with a follow-up ultrasound for monitoring. If your cysts are common, your specialist may recommend birth control to help prevent their formation. If your cyst is large and it doesn’t look like a functional cyst, your specialist may recommend a minimally invasive procedure to remove it, referred to as an ovarian cystectomy. In some cases, the entire ovary may need to be removed, which is referred to as oophorectomy. 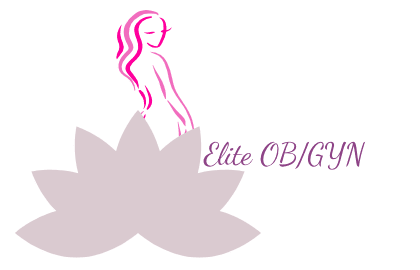 For expert gynecological care and management of your ovarian cyst, call Elite OB/GYN or schedule an appointment online.